Its all about the mini bag this season and this trend is looking like it going to stay around for a while. 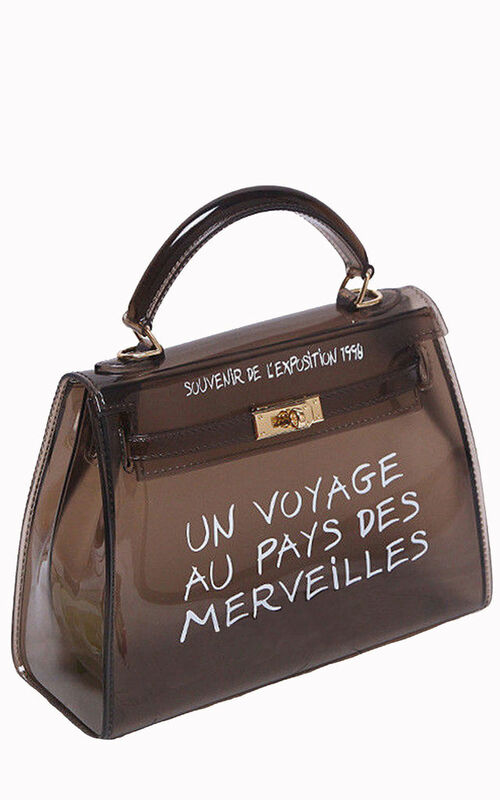 So stand out from the crowd with this super stylish French graffiti plastic handbag. 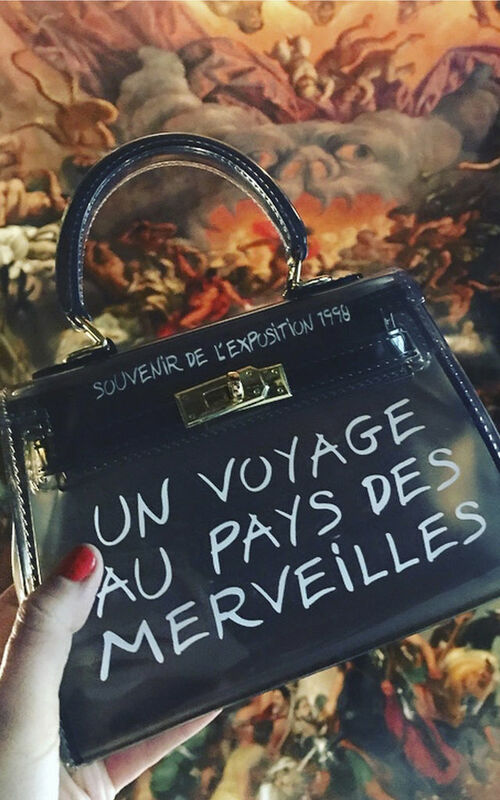 Not only is this bag waterproof it will look super cool and tres chic by your side.